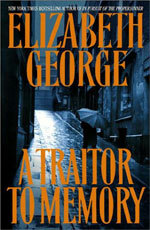 adapted as "A Traitor to Memory"
Synopsis: When Eugenie Davies is killed by a driver on a quiet London street, her death is clearly no accident. Someone struck her with a car and then deliberately ran over her body before driving off, leaving nothing behind but questions. What brought Eugenie Davies to London on a rainy autumn night? Why was she carrying the name of the man who found her body? Who among the many acquaintances in her complicated and tragic life could have wanted her dead? And could her murder have some connection to a twenty-eight-year-old musical wunderkind, a virtuoso violinist who several months earlier suddenly and inexplicably lost the ability to play a single note? For Detective Inspector Thomas Lynley, whose own domestic life is about to change radically, these questions are only the first in an investigation that leads him to walk a fine line between personal loyalty and professional honor. Assigned to the case by his superior, Superintendent Malcolm Webberly, Lynley learns that Webberly's first murder investigation as a DI over twenty years ago involved Eugenie Davies and a sensational criminal trial. Yet what is truly damaging is what Webberly already knows and no doubt wants Lynley to keep concealed. Now the pressure is on Lynley to find Eugenie Davies' killer. For not only is he putting his own career into jeopardy, but he is also attempting to safeguard the careers of his longtime partners Barbara Havers and Winston Nkata. Together, they must untangle the dark secrets and darker passions of a family whose history conceals the truth behind a horrific crime. This DVD set includes four mysteries: In Pursuit of the Proper Sinner, A Traitor to Memory, A Cry for Justice, and If Wishes Were Horses; the latter two are based on characters created by Elizabeth George, but not on any specific book in the series. 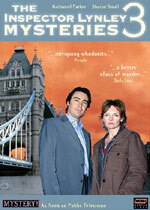 See Telemystery: Inspector Lynley Mysteries for a complete list of made-for-television movies based on these series characters.